Topic: ADVENTURES IN POLICY MODELING! About the talk: Edward Kaplan, Professor of Management Science, of Public Health and of Engineering, is an international expert in the world of Policy Modeling – applying academic rigour to solve intractable real-life problems. At this talk, Kaplan looked at a range of topics from counterterrorism to professional basketball. Policy Modeling refers to the application of operations research, statistics and other quantitative methods to model policy problems. Recognising that analyses of all sorts often exhibit diminishing returns in insight to effort, through his work he hopes to capture key features of various policy issues with relatively simple ‘first-strike’ models. Problem selection and formulation thus compete with the mathematics of solution methods in determining successful applications. Where do good problems come from? How can analysts tell if a particular issue is worth pursuing? In addressing these questions, Kaplan reviewed some personal adventures in policy modeling selected from in vitro fertilization, predicting presidential elections, suicide bombings and counterterrorism, HIV/AIDS prevention, bio-terror preparedness, and March Madness. About the speaker: A much sought-after speaker, Edward H. Kaplan is the William N. and Marie A. Beach Professor of Management Sciences, Professor of Public Health, and Professor of Engineering at the Yale School of Management, where he has been on the faculty since 1987. His research has been reported on the front pages of the New York Times and the Jerusalem Post, editorialized in the Wall Street Journal, recognized by the New York Times Magazine's ‘Year in Ideas’. The author of more than 125 research articles, Professor Kaplan has received both the Lanchester Prize and the Edelman Award, two top honors in the operations research field, among many other awards. His courses at Yale have included Introduction to Probability, Policy Modeling, Mathletics, and Modeling Infectious Diseases. 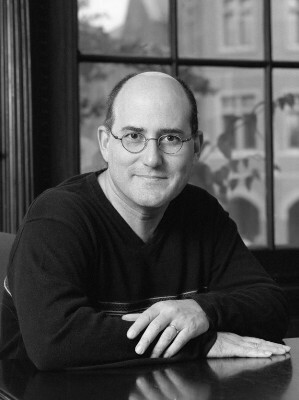 An elected member of the National Academy of Engineering (2003) and the Institute of Medicine (2004), Kaplan has applied operations research methods to study and solve problems in public health, HIV/Aids, public housing and counterterrorism and is currently focusing on the application of operations research to problems in counterinsurgency and homeland security. His research has been recognized with numerous awards from professional associations and government agencies.